P.E.P. before you polish, for long lasting manicures! Up-do Inspiration by Kacie I. from La' James International College Cedar Falls! All you need is a curling iron, bobby pins, some clips and your favorite Rusk hairspray! Whether for Prom or a night out, follow these simple steps for prepping your skin before a Makeup Application. Check out Kacie & Riley from La’ James International College Cedar Falls to get their tips for keeping your makeup looking fresh & beautiful! Check out these quick and SUPER relaxing tips to help relieve stress and tension from basic daily activities. Term 2 nails along with Mrs Seliger at La' James International College Cedar Falls, are focusing on P.E.P. Having issues getting your polish to stick or stay?! Is your polish chipping the day AFTER you polish? Try P.E.P. before you polish for longer lasting manicures! 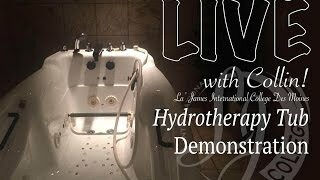 Have you heard of the Hydrotherapy Tub?... If not, YOU HAVE to check out our LIVE Facebook video with Collin & Mrs. Hudson from La' James International College in Des Moines! Massage Therapy Instructor Miss Natochin along with student, Amanda D. from La’ James International College Iowa City, share some great advice for those experiencing any thumb pain. 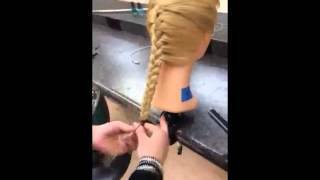 Learn how to do the \"Flower Braid\" with this quick guide from La\' James International College in Cedar Falls, IA! 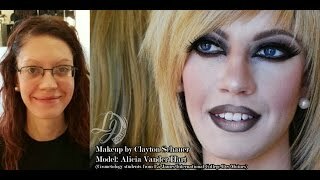 Watch Clay from La\' James International College Des Moines put his makeup skills into action! 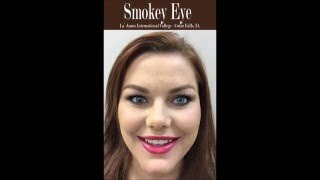 See how Taylor from La\' James International College in Cedar Falls creates her smokey eye look! Follow her quick tips & give it a try! Add a little sparkle to your nails! 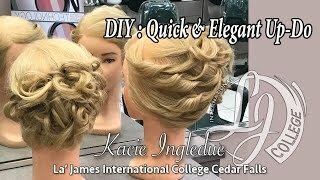 Watch how Mrs. Seliger from La\' James International College in Cedar Falls creates a fun look that anyone can do! Follow her quick tips & give it a try! La\' James International College demonstrates how easy it is to use the RUSK Curl Freak. This styling tool creates perfect curls for those special events! Love your Future at LJIC! A look at LJIC Trend Vision 2016! What an amazing Trend Vision this was! We are so proud of all students! You are truly phenomenal! If you missed the day, no worries... take a look at LJIC Trend Vision 2016 here! Are you wanting to learn more about the Cosmetology program? 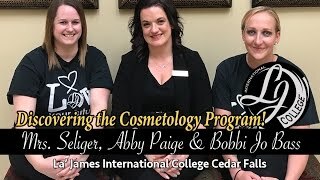 Hear what Abby Paige, Bobbi Jo Bass & Mrs. Seliger from La\' James International College Cedar Falls have to say about the program & industry! Are you one who enjoys helping others, meeting new people, trying new things? Are you Encouraging & Motivating? Do you love to get involved?.... Sounds like the Ambassadors Club at La\' James International College is a perfect fit for you! La’ James International College & Iowa Central Community College have partnered up together to offer a Health & Beauty Management degree. The HBM degree is perfect for those looking for additional tools needed to be successful in the salon business & manager roles. La\' James International College is proud to be a Bloom Premium School. What is Bloom? 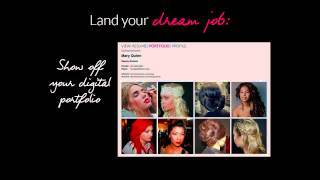 Bloom is a large Social Beauty Network where professionals & students collaborate to share inspiration within the beauty industry. We Are LJIC! Start your Journey today & Love Your Future at LJIC! Distinctively Different!